TL;DR Fighting Citadels will not require entosis links. The mechanics are related a bit to Aegis sov, but are quite different. For one, despite the residency bonuses, killing a Citadel is the age old shoot at a structure. The new twist is a DPS cap and vulnerability periods. These vulnerability periods are in no way tied to Aegis sov mechanics, only the repair time is. Ok, the title that Fozzie sov is going away may be a bit of hyperbole. CCP are not getting rid of the mechanic. They are not reprogramming the mechanic, or introducing a new mechanic for the things that Aegis sov effects. They are phasing out stations in favor of Citadels. And as I said earlier, Citadels will not use Aegis sov. 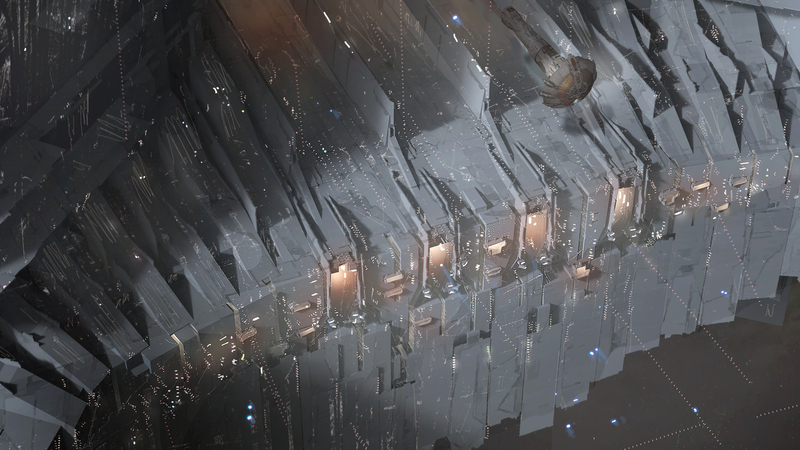 When we finish the passover to a world of Citadels, Aegis sov will have been removed to only two aspects of EVE; the TCU, in other words, map names plus some POS fuel savings; and the IHUB, the PVE and utility control. You will not be able to boot someone out of space with Aegis sov. The local staging Citadel will be perfectly safe from entosis. All Aegis sov combat will be able to do to someone will be to take their name off the map, make their structures slightly more expensive to operate, and ruin some of their utilities. These are all important things, but it is vital to stress that these are all luxury items. The truly important deal for living in space is being able to dock. The rest of these things are much closer to the old “farms and fields” idea that has floated around forever. In fact, they are the farms and fields of EVE. They are the NPC spawn points and the places where minerals can be found. They are the (fatigue abandoned?) highways of EVE, in the form of jump bridges. They are the signs at the crossroads. In turn, Citadels will be the castles of EVE. Breaking one down will require siege equipment or raw numbers with the ability to bring DPS. Fozzie has been cast out to the farms, the fields, and the dusty roads. It bears mentioning that moon goo will eventually be tied to some kind of Citadel-like structure, the mining platform. Moon goo and the resulting battles over the valuable resource will be the purview of Citadel mechanics, not Aegis sov. A serious invasion may still begin with rounds of Aegis sov skirmishing. Knocking out a cynojammer is a serious strategic goal. The same can be said for a jump bridge. Killing line members’ ability to fund themselves through local ratting may be a thing. More importantly, while the initial attack on a Citadel will not care about the status of the Aegis sov, the repair cycle will be harder for the defender if the system indexes have been compromised. The skirmishes and sniping battles that Aegis sov encourages will continue to play out, as a supplement to the titanic battles over whether some particular Citadel gets to continue existing. In some ways the combat will resemble the skirmishing of a medieval siege where the attackers try to strangle the defenders before the costly battle to actually take the city or castle. We will see the defenders fighting to keep supply lines open and resources stocked. I see this as the best of both worlds. The skirmish FCs will get their day in the fields of battle. Then the main line combat FCs will lead the brutal assaults on the hardened positions. We get the big battles and we provide content for the little guys. Both play styles are accommodated. “Any damaged structure that is in a vulnerable state will automatically try to repair its shields, armor or hull after a specific amount of time. Unlike regular ship shields, this is not an on-going regeneration process – it’s like a shield booster or armor repairer that would instantly restore all hit points after a specific cycle time has passed. Please note this will not happen if the structure is invulnerable. It will not be possible to accelerate the process using any kind of remote repair modules – we do not want to favor static fleets of logistics or carriers sitting near the structure and preventing incoming damage to be applied. In the same vein, we do not believe requiring players to sit for hours repairing a structure manually after a fight to be interesting gameplay. This repair timer will automatically be paused whenever damage is being applied to the structure. This gives attackers a chance to take the shields, armor or hull layer down before the structures repairs itself. In addition to whatever method is used to discount the lone stealth bomber I recommend taking away the all or nothing aspect of the repair process. I would suggest that for every 5 minutes a Citadel is not fired upon in an hour long repair process, it activates a repair cycle that repairs 8.3% of the damage. Or it could be 10 minutes and 16.6% of the damage. The exact numbers do not matter too much. I am also worried about a fleet of 100 Sneaky Petes that show up on grid for five seconds once every hour. Whatever method is used to stop the single stealth bomber, should probably also apply to any sniper fleet that is not actually interested in fighting. A while back I wrote about docking games. Mostly I was thinking about NPC stations where neither side owned the structure. But I missed covering a blatantly obvious reason that small gang docking games will never again happen on a player owned Citadel. I own the Citadel and see you outside in a Vagabond. I have two options: I could undock and fight you, in which case I might die, or I could man the Citadel’s guns and blow you out of the sky with no risk. I am going to choose option two every single time. When you look at a Citadel, you have to think about it like an enemy POS that has guns you cannot disable. You will not find yourself playing small gang docking games on a structure that was balanced to fight off small fleets. At some point the course did change. 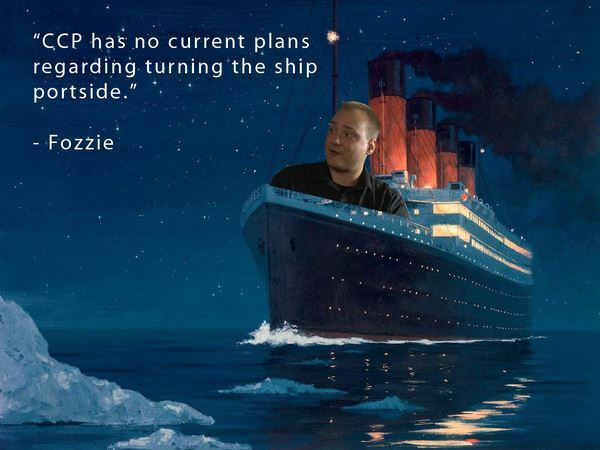 I have been very happy with the decisions that CCP has made in the last few months. I am very pleased to see how things have improved since the middle of the summer. CCP as a group have done an excellent job nudging the ship portside. Seagull is more visibly active at the helm. The concerns people had are being addressed with regard to Aegis sov and even a bit of jump fatigue. My tone is generally very critical when it comes to CCP, but I would be communicating entirely the wrong idea if I did not take a moment to praise them for their recent work.